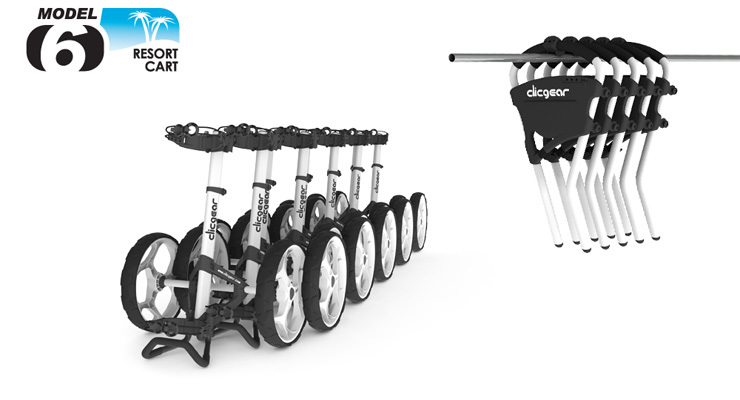 The Clicgear Model 6.0 Resort Cart is a completely new direction for the resort and rental market. We attempted to design something easy to assemble and maintain when used as a rental cart. The cart looks and works great in this role. However, it works and looks so good, it’s also a great cart to own. 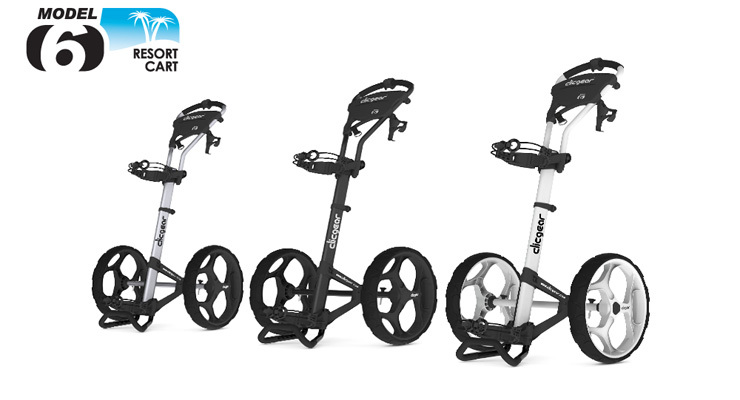 The Resort Cart is very easy to assemble and has great balance over any terrain, making it very easy to push. Especially with two giant 17” wheels. This new patented design also allows for infinite adjustment with both the handle and saddle height being adjustable. 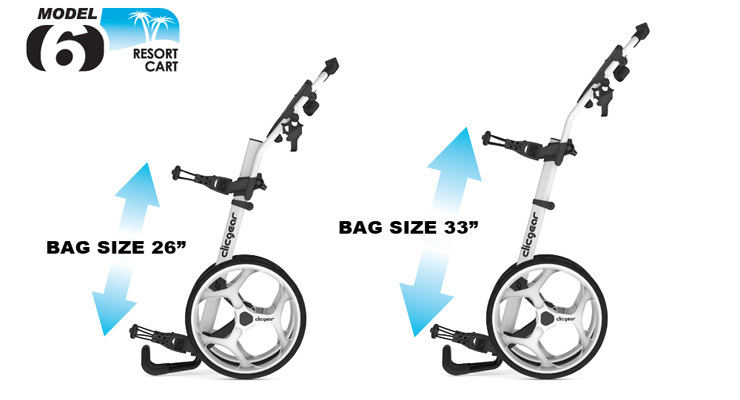 The cart can be set up to hold bags from 26” junior bags all the way up to 35” tall bags. All with the turn of a single adjustment knob. So no matter if you are a course professional trying to decide on a new rental fleet or a player looking for a great golf cart that is unique, the Model 6.0 could be for you. It can also be easily customized with any of the Clicgear accessories available.